“Holistic treatment” is a modern buzzword in the addiction treatment community. Mounting research is showing that the mind, body, and spirit are closely intertwined, and many recovery centers are adopting holistic methods that aim to help their patients restore physical, psychological and spiritual health and balance. At Origins Behavioral Healthcare, we know and appreciate the myriad benefits of this approach — but we also want to provide our patients with distinct, effective treatments grounded in medical, clinical, and scientific evidence. We founded Origins Center for Brain Recovery (CBR) to ensure we remain on the leading edge of mind-body research while we continuously improve our holistically informed care. CBR incorporates principles from the growing and interrelated disciplines of health psychology and psychoneuroimmunology (PNI), which focus on studying the many ways that mental and physical health interact. Through the efforts of CBR, we are able to apply the latest evidence-based techniques in our addiction and mental health treatments. In turn, we can offer our patients a meaningful recovery experience that gives them a strong foundation for lifelong sobriety through physical health, mental wellness, and spiritual strength. Addiction is medically classified as a disease of the brain, but we also know that it affects, and is affected by, the entire body and each person’s environment. This principle of interconnectivity extends beyond the field of addiction treatment: broader areas in healthcare from neurology to gastroenterology are embracing the idea that physical and mental well-being are not as distinct as we once believed. The fields of health psychology and PNI have emerged as a means of studying the mind-body connection more closely. Health psychology and PNI recognize that human beings are not separate sets of independent parts (heart, lung, brain, etc. ), but rather an incredible system made up of smaller, interdependent systems. Each of these systems is impacted by the rest, and though it often goes unnoticed, the brain is a key player in this process — since our brain oversees and regulates the rest of the body, brain health impacts every system involved in physical health. With this essential knowledge in mind, we can expand the conversation about brain health to encompass more than just having a brain free from physical injury. Brain health now includes how we feel, what we think, what we put into our bodies, our personal spirituality, how we connect with (or disconnect from) life and more. When an individual suffers from addiction, each of these areas of brain health become compromised. Feelings tend to be centered on shame, anger, and fear. Thoughts become self-destructive rather than self-affirming. Physical health is neglected via poor nutrition and exercise habits. Spiritual connection is often lost in doubt or loneliness or, for some, was never a conscious part of life. When we apply principles of health psychology and PNI to addiction recovery, we can see a broader picture of the specific factors that influence addiction, as well as achieve a better understanding of how to treat addiction and mental health through multiple avenues. We can also break down the symptoms of addiction – such as unhealthy coping mechanisms, isolation, or low self-esteem – into smaller, more concrete systems-related problems. Through this approach, our team has the tools to carefully evaluate each patient and tailor their treatment specifically to their experience with substance use. Our professional staff is qualified to help our patients discover and diagnose any accompanying disorders. They provide exceptional treatment that targets the root of mental health concerns rather than temporarily relieving symptoms. We believe that recovery is more than simply not using alcohol and other drugs. It is about being healthy and able to grow and thrive: body, mind, and spirit. The best way to accomplish this is through the kind of integrated, evidence-based and personalized care available through CBR. 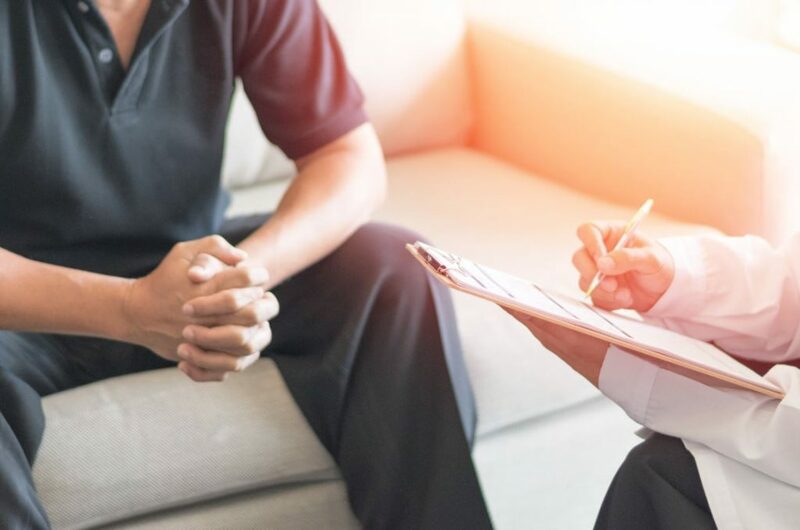 At Origins Behavioral Healthcare, every patient works with CBR to address co-occurring disorders or any mental health symptoms that arise alongside addiction. CBR services are integrated into our residential, transitional and intensive outpatient treatment programs. They are also available in specific individual and group sessions at our CBR offices. Your CBR team is led by a licensed psychologist and includes Brain Recovery specialists who facilitate services and experiential therapy activities. Origins Behavioral Healthcare is dedicated to helping our patients achieve lifelong, sustainable and complete recovery. We believe that sobriety is possible for everyone, especially through an evidence-based understanding of the disease of addiction and through long-term habits that restore mental, physical, and spiritual health. The Origins Brain Recovery Center provides precisely the type of proven effective, cutting-edge care that enacts real, lasting change for our patient by helping them lead healthier, more confident, and more purposeful lives. Today can be the day you break the cycle of addiction for good – start your journey to freedom and fulfillment by calling Origins Behavioral Healthcare at 844-201-1859.